gym tiME would like to take a moment to recognize a very special gymnast, our VERY FIRST student to register, Kendall Winter! Kendall Winter started in our Recreational Gymnastic Classes at the age of 5 and was gym tiME’s very first student to register! 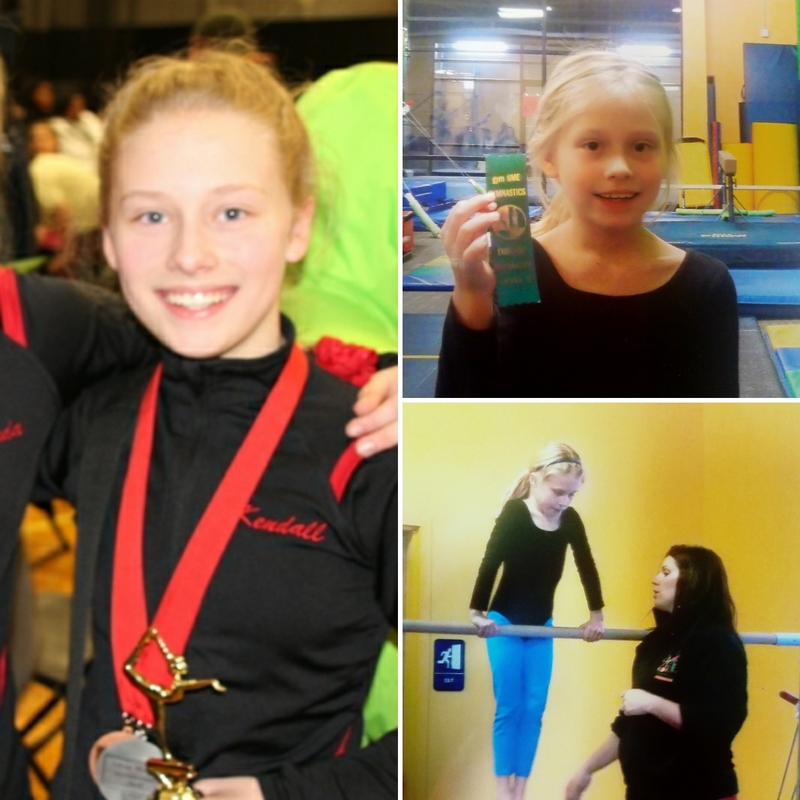 Kendall worked her way up through the recreational levels and when she was 8, Miss Meghan offered Kendall a spot on the Xcel Team! She recognized her extreme ability to focus and her determination to be the best she can be! With her dedication and her natural ability to pick up gymnastic skills and master them, Kendall has made an amazing addition to our Xcel Program! Kendall is currently a 6th grader and is competing in her third year on gym tiME’s Xcel Team. Kendall has numerous medals and consistently places in the top 3 in All Around at every meet! Kendall is also an excellent student, taking honor classes and making the honor roll each marking period! Besides gymnastics, Kendall is also involved in her school’s chorus and plays the Viola! gym tiME wanted to take a moment to thank the families, like Kendall’s, who have been with us since the beginning! Without ALL our families we would not be where we are today! Check back next month for another featured gymnast! CLICK HERE TO VIEW OUR CLASSES! 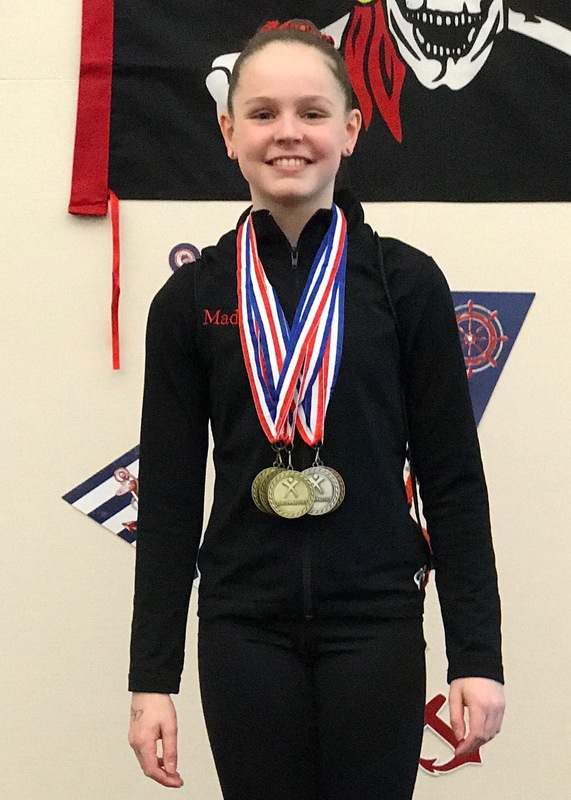 gym tiME is proud to announce that one of our very own gymnasts has been named America’s Top 100 Gymnasts in the United States! Madison Cunard! She is currently ranked #88 in the United States with an All-Around Score of 38.250, which she achieved in the PA State Championships! Madison (also known as Madi) is currently a 6th grader at the Easton Area Middle School. She started gymnastics, at another local gym, when she was 5. After doing competitive and recreational gymnastics, for 4 years, she decided to take a break from the gymnastics. Madi joined a Tumble class at a dance studio and was involved with their competitive team. During the summer of 2016, Madison wanted to enhance her tumbling skills and joined Gym TiME’s Tumbling Class. Madi really enjoyed this class and Miss Meghan and it sparked her interest in returning to gymnastics! Miss Meghan gave Madi the opportunity to join the Xcel Gold Team and she has been thriving in the sport ever since!! At Gym TiME she’s been able to learn, and perfect, skills while also having fun with coaches and teammates! Winning the All-Around at the PA State Championships was another proud moment in her first season with Gym TiME! In school, Madi is a honors student and plays the clarinet. She also loves her trampoline, spending time with friends, the beach, roller coasters and her cat, Benji!